First thing's first I pop in a big handful or two of ice cubes to the largest nutribullet cup and level with cold water. I then break up my bananas into pieces and add to the cup, followed by my protein powder. I usually use the scoop that comes with the protein as I know that's 10g, but you can use a tablespoon if you don't have one! 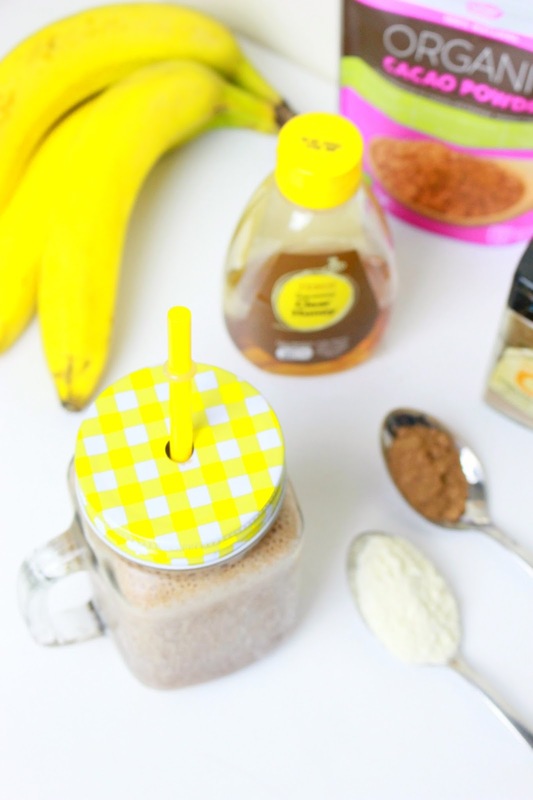 I add a large heaped scoop of protein powder (Vanilla/Salted Caramel) and then add the honey (one big squeeze from the bottle) and cinnamon (around 1 teaspoon full). Last but not least my number one favourite ingredient - cacao powder. I usually add about the same amount of the protein... but sometimes add a little bit extra because I love the chocolatey taste it gives so much! Top Tip : I buy cacao powder from Aldi as it's SO much cheaper than other places. Then it's just time to pop on the nutribullet and blend it all together - this doesn't take longer than 20 seconds or so. I drink it straight from the nutribullet cup with a straw to save on the washing up..... this photo is all for show #bloggertruth! 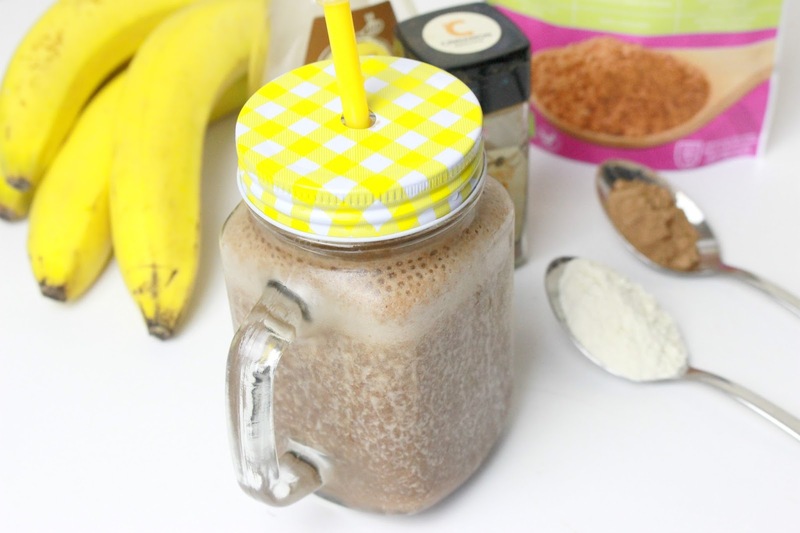 Voila - you have yourself a cold chocolatey banana breakfast! Honestly this tastes so, so good and I can't imagine ever making a different breakfast smoothie because I love this one so much. The bananas are of course a portion or two of your 'five a day' whilst being a fantastic source of natural carbohydrate which (hopefully) gets my brain working! The protein is in there to help me stay fuller for longer and the cacao powder is actually a natural mood-booster.... and I can 100% confirm this works! I always feel a little brighter once I've had this in the morning, plus it really does keep me full. Between breakfast and lunch I may have a piece of fruit like an apple but not always! Let me know if you try this recipe out and what you think! Wishing most recipes didnt include bananas as I am not a fan! I absolutely hate bananas but this sounds fab otherwise! I've been more and more interested in making vegan changes in my diet! Ooooo I wish I had enough time for a smoothie in the morning because this looks lush!